Previously unobserved shark species swim in areas impacted by humans, reports a new study. The results reveal a greater prevalence of sharks in such regions than traditional survey methods have uncovered, and the approach for uncovering them may lead to more thorough species diversity assessments in areas with rare and threatened large animals – often hard to detect with underwater cameras alone. The researchers leading the study emphasize the urgent need for conservation efforts geared specifically towards the protection of these elusive populations. Human activities like habitat destruction and hunting have led to massive large-animal population declines and local species extinctions. As a result, several species can be absent from the total number expected within a certain region – a metric quantified as "dark diversity." Higher dark diversity indicates many missing species and greater ecosystem degradation. However, it is yet unclear whether reported levels of large-animal dark diversity are due to extinctions or a failure of traditional surveying methods (which rely on visuals of the environment) to detect especially rare and highly mobile animals. 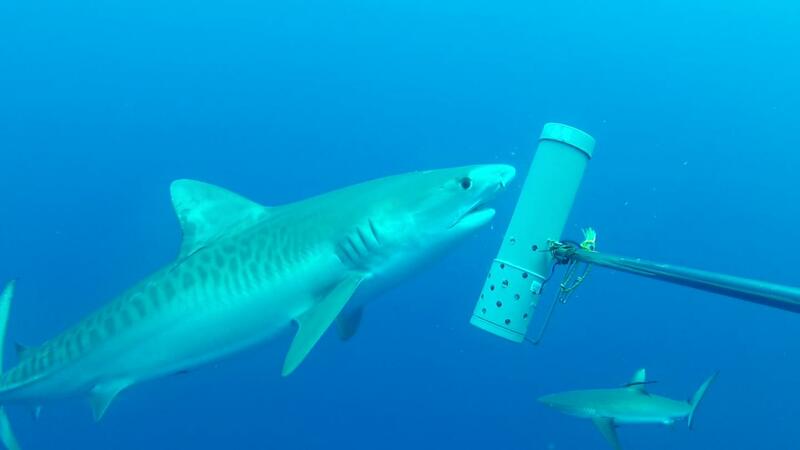 Here, Germain Boussarie and colleagues analyzed genetic material naturally released by organisms in their environments, called environmental DNA (eDNA), to assess the dark diversity of sharks roaming the New Caledonian archipelago in the southwestern Pacific. They found 44% more shark species across the archipelago using eDNA analysis, compared to traditional underwater visual censuses. Even in wilderness areas, where more naïve sharks may display curiosity for underwater cameras, eDNA detected three times more species than either visual methods. The results suggest the dark diversity of sharks in the New Caledonian region is lower than previously estimated – new knowledge that may impact IUCN Red List classifications and ultimately aid species conservation efforts.